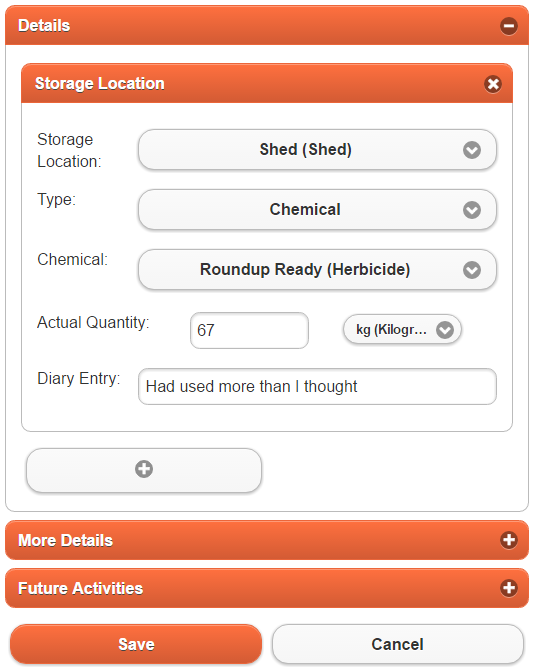 For your chemicals/fertilizers/commodities, this is done via the Stock Take activity [Storage > Add Storage Activity > General > Stock Take]. Once you've selected a storage location and item, enter the actual quantity found and click Save. 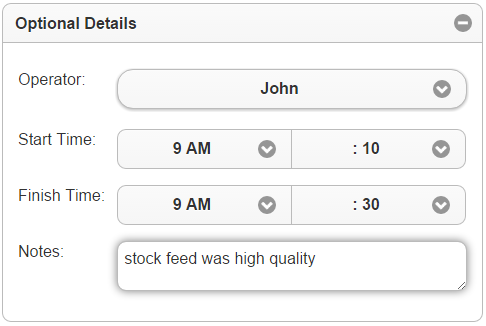 Note: Stock Take Activities are assumed to be performed at the end of the day. If this activity was performed at the beginning of the day then we suggest you back-date the activity to the day before.